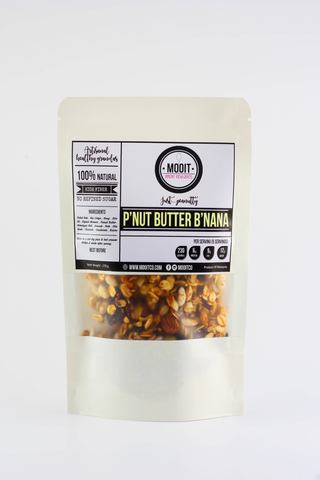 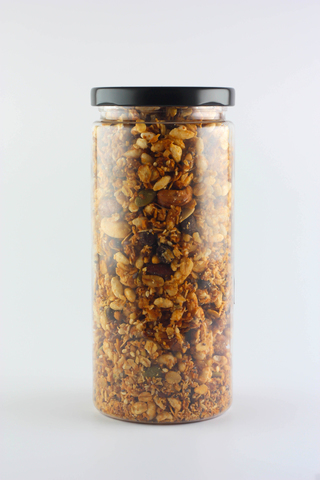 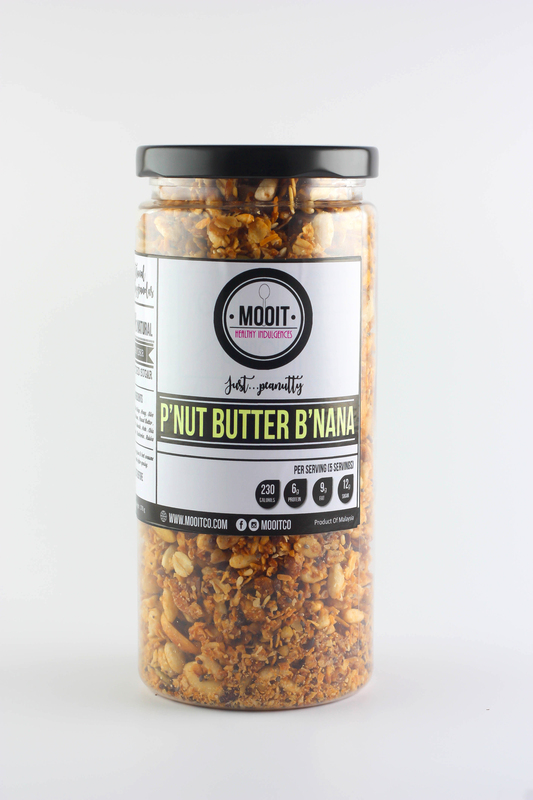 P'Nut Butter B'Nana Granola – Mooit Co.
Indulge in peanut butter powered with healthy granolas! 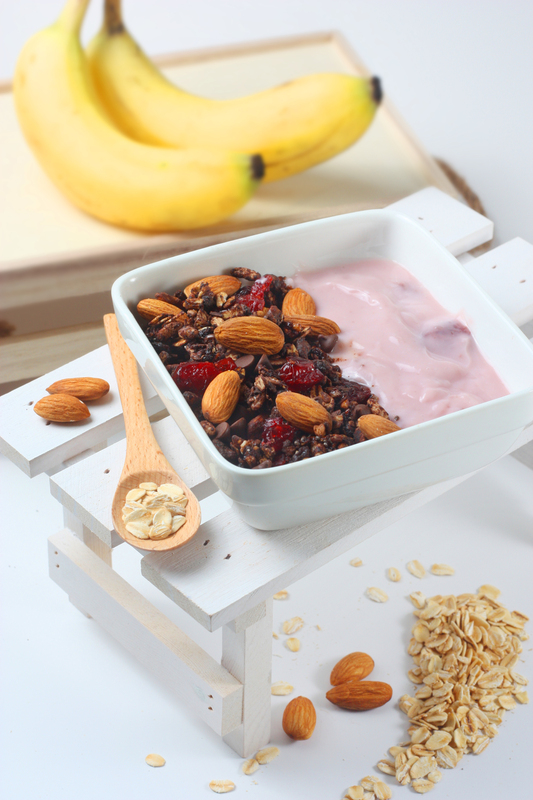 Perfectly crisp peanut buttery oats sprinkled with dark almonds, chocolate chips, chia seeds, flax seed and a full load of cranberries. 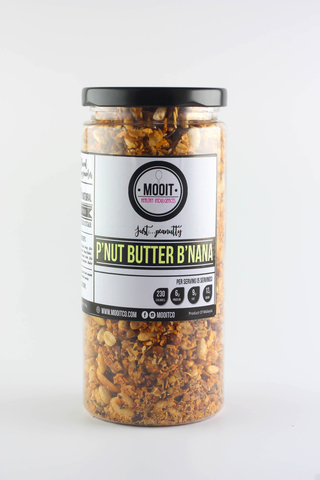 A perfect snack anytime!